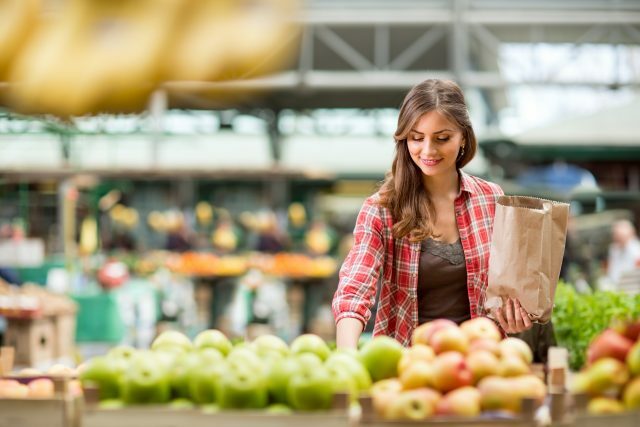 People visit a supermarket or grocery store with the expectation that the shop will look inviting and allow them to select their food and other purchases in a clean and sanitary environment. Zippy has extensive knowledge and experience in maintaining the cleanliness and hygiene of high-traffic public spaces such as supermarkets. We can support you on a daily basis to meet the strict Hazard Analysis Critical Control Point (HACCP) health and safety guidelines with our certified chemical-free cleaning program that is safe to use around food and food preparation areas, further minimising the risk of food safety vulnerabilities. The presentation of supermarkets, whether large or small, is a vital aspect of delivering a welcoming shopping experience to the many people that visit each day, consequently inspiring them to return regularly. A clean environment boosts the productivity and health of your employees, improving their morale and efficiency, further enhancing the experience for your customers and leading to better sales. Every aspect of your supermarket can be attended to as part of our service, from top to bottom, inside and out. The different areas of your supermarket such as the meat room and butcher department, bakery, deli and seafood sections, café, and food storage rooms, will have their own cleaning requirements. You can have confidence in our capabilities to safely and thoroughly manage the cleaning of all facilities. We can clean the expansive external areas of your supermarket including carparks, walkways, doors and entrances, roof areas, display boards and signage, and bin storage areas, also managing the disposal of waste. These areas are the first points of contact for your customers, so it is important that they are well presented. Supermarket staff may take care of product spills and minor cleaning jobs during the course of business, but we can be of significant support in completing larger scheduled cleaning jobs. We can maintain your hard flooring surfaces including vinyl, tile and grout, concrete, slate and more, using machine scrubbing and strip and seal techniques. We can also conduct slip tests on hard flooring to ensure the safety of the surface and minimise the risk of falls. We can also keep your windows and glass sparkling; scrub grease traps, drains and surrounding areas; and manage high dusting and cobweb removal, pressure cleaning, and vacuuming. Our supermarket cleaning program is commonly completed on a daily basis to effectively clean and sanitise the many areas that quickly collect mess and grime and suffer wear and tear, including floors, turnstiles, under and on top of shelves, serviced and self-serve checkouts, offices, warehouses and stock areas. In addition, we can keep your bathroom and toilet facilities fresh, safe, hygienic and well stocked through our hygiene and sanitation service designed for highly frequented wet areas. We can plan a cleaning schedule with you to complete our services at a frequency that you require. You may prefer that some of our services are fulfilled when the supermarket is closed to avoid disrupting shoppers’ movement through the store, which also allows us to undertake a more thorough cleaning process. Call us about the cleaning challenges confronting your supermarket or grocery store, and see how we can restore and maintain its freshness and appeal for your customers and staff.